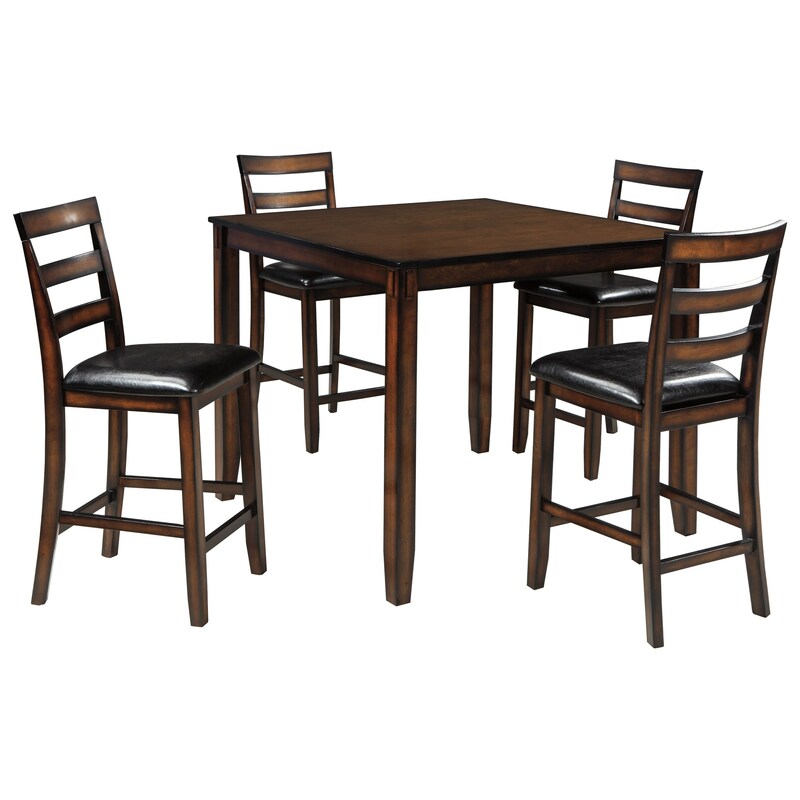 Enjoy dining at home with this five-piece counter height table set. Its burnished brown finish has a slightly rustic, relaxed feel that continues with the tapered legs of the table and stools. The square table offers ample room for each person at the table. The counter height bar stools are complete with ladder backs and brown faux leather seats. The Coviar Burnished Brown 5-Piece Dining Room Counter Table Set by Signature Design by Ashley at A1 Furniture & Mattress in the Madison, WI area. Product availability may vary. Contact us for the most current availability on this product.